I never leave the house without my lipstick on. I’d feel naked, not quite right, I’d have to feign a headache and go home and put some on. Wearing lipstick completes my makeup. It spotlights my outfit, and uplifts my mood. This summer, I’m wearing PINK. But there is so many pretty shades to choose from! 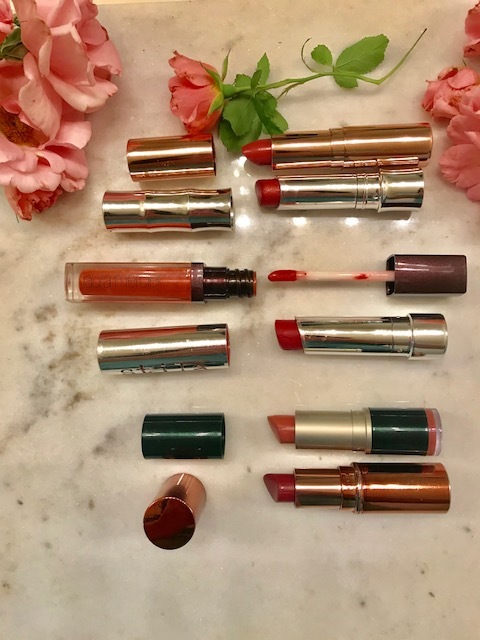 As you will notice, some of these colors are a tint, as in Laura Mercier’s Persimmon, while others are rich in pigment, like Christie Brinkley Authentic Beauty’s Charm. I like both of them, but I like the lipstick-in-a-tube format the best. What are your favorite pink lipsticks? Beautiful! That lip color looks amazing on you! Such pretty lipsticks! The lip color looks stunning on you!